(PRESS SEC) — Before Prime Minister Dr. the Honourable Timothy Harris earned his way into the upper echelons of politics, academia and society – being elected to Parliament in 1993 and winning his seat five more consecutive times; attaining a Ph.D. in Accounting from Concordia University in 2002; becoming St. Kitts and Nevis’ third Prime Minister in 2015, and receiving the prestigious Gusi Peace Prize, Asia’s equivalent of the Nobel Peace Prize, in 2016 – he was an ambitious young man hoping to land a banking job. The Honourable Prime Minister said last night during a packed town hall meeting at the Challengers’ Community Centre that circumstances led him to another career path. Instead of wallowing in disappointment or viewing the career detour as a failure, Dr. Harris said he chose to look at the turn of events as an opportunity for personal growth and self-discovery. 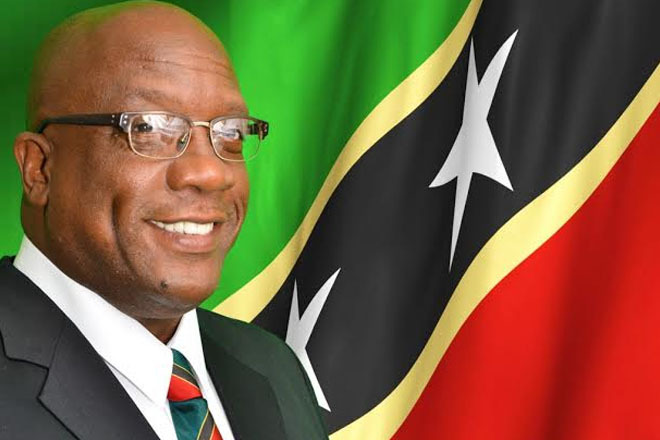 Being adaptable, which means being able to adjust to new (and even negative) conditions, is one of the greatest traits that young people must strive to – and be encouraged to – develop, the Prime Minister of St. Kitts and Nevis said. “When the St. Christopher and Nevis Social Security Board made its report, it recorded that in 2016 the largest number of employed persons on their books occurred under your Team Unity Government. We are working and people are finding work – those who are willing to work. For there is work, and some people have made up their minds that they will not work. That is why we appeal to the adults in the house that if you have young people in the home sitting down, they add no value to the national production and productivity,” Dr. Harris said last night. The Prime Minister of St. Kitts and Nevis told the audience that if he had refused to budge from his position – that a banking job was the perfect job for him – then he would have stayed unemployed as a young man. Today, Thursday, February 16th, 2017 – the second anniversary of the resounding election victory of the three-party Team Unity coalition led by Dr. the Honourable Timothy Harris – will see the launch of the Skills Training Empowerment Program (STEP) at the Circus. The general public is specially invited to attend the launch ceremony, which starts at 4:30pm.